We Admit: Penn State Undergraduate Admissions | The latest admissions information, with a splash of blue and white every step of the way! 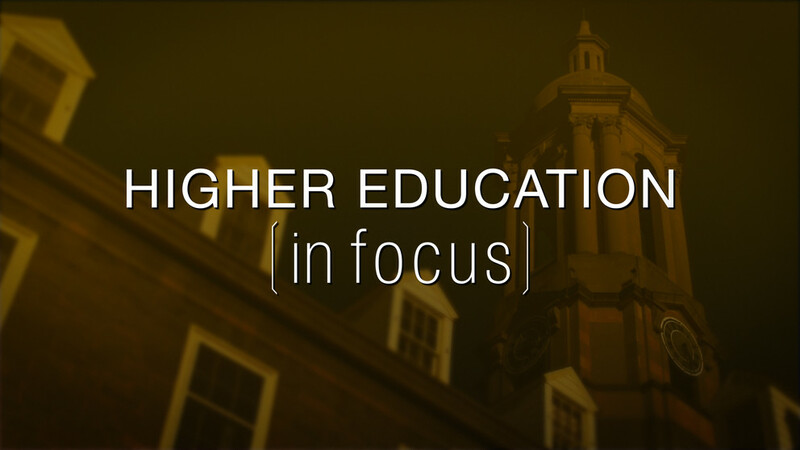 WPSU Penn State’s “Higher Education in Focus” will air at 8 p.m. on Thursday, Oct. 15, on WPSU-TV and WPSU-FM. An inside look at Penn State’s admissions process is the subject of tonight’s episode of Penn State President Eric Barron’s “Higher Education in Focus” program being broadcast on WPSU-TV and WPSU-FM. The episode titled “Taking the Mystery out of Admissions” will air at 8 p.m. on WPSU-TV and WPSU-FM. Barron’s guests include Clark Brigger, executive director of undergraduate admissions; Mitch Kirsch, associate dean for student affairs for Schreyer Honors College; and Bert McBrayer, associate director of admissions operations. The group will outline the various stages of the University’s admissions process, including rolling admission deadlines, post-application steps and applicant evaluation. Penn State receives more than 60,000 first-year student applications. Tonight’s broadcast will be archived and available online at wpsu.org/infocus. The Penn State fall/summer 2016 application is now available on our website. If you have not created a MyPennState profile yet, you will need to do so before you can log in and start the application. Penn State has its own application – we do not use the Common Application. Review the Admissions Requirements, Dates & Deadlines, and Steps to Apply on the website for details about your application and the admissions process. You can save your work and return to the application at a later time. The online application is just the first part of the process – be sure to send us all of the required materials to complete your application. Transcripts must be sent directly from your high school, and test scores must be sent from the College Board or ACT Testing Service. After submitting the application, check your MyPennState often. There, we will let you know if we are missing any pieces of your application, give you status updates of where your application is throughout the review process, and ultimately alert you of your admission decision. November 30 is our priority filing date. If we have your complete application (official high school transcript, official SAT/ACT scores, and online application) by November 30, you maximize your chances of receiving a Penn State offer of admission to your first choice campus, major, and start term. We also guarantee that you will have a decision no later than January 31. Got questions? Contact us or Ask the Lion! Summer is here and although I was sad to leave Happy Valley, I could not be more excited to work in my first public relations agency as an intern all summer. So far the experience has been priceless, which it often has to be for an unpaid intern such as myself. It’s really true when they say that hands-on experience is just as important as learning in the classroom. Through this internship, I have realized that what they teach us in class sets the foundation for what you learn when you are in the real world. 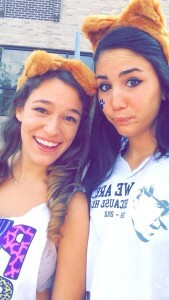 Yari Acquino, left, is completing a public relations internship in Miami this summer. realized how helpful and willing to teach my superiors were. I never felt like I couldn’t ask a question or like they expected me to already know how to do everything. My boss even sat down with me and went down a list of what my duties would be and explained each thoroughly. On a daily basis, I write a variety of press releases and send them out to media outlets. I send so many emails a day that Gmail has even locked me out for reaching their limit! I also monitor the media to see if our clients have been mentioned in any new articles or to see if there is any news that we can form a press release around. I love having my own desk because it makes me feel like an actual employee. I have never had to run out and get coffee; actually my boss is so kind that she often buys us coffee when she gets some herself. The craziest part of entering the real world to me was that now if I messed something up it doesn’t just get me a bad grade, now it actually matters and affects others. This is one of the things I liked most because it feels like you’re actually valuable to the company, not just a student. I found this internship through Penn State Career Services. I was between this one and another in New York City, but when I weighed one against the other I realized this one was a better fit. When deciding on an internship, you really want to take into consideration which one will give you the most experience. This one requires me to work on real public relations tasks every day. The other one I was considering included duties such as “watering plants” and was only three days a week, but it was with a bigger company. I chose the first one, because I knew this is where I would learn the most. To end this post I just want to say that as cliché as it sounds, the advice everyone is constantly giving you is true: Every internship is what you make of it. If you go and just do the minimum work, you will get through it but you won’t gain anything in the long run. Ace high school finals, check. Last day of high school – EVER, check. Friends and family cheering when crossing the graduation stage, check. Get pumped for Penn State, double triple check. YOU DID IT! You are graduating from high school and ready to start writing the next chapter of your life at Penn State, and we’re so excited for you! We know how hard you’ve worked to make the most of high school and reach this point of success and we, and of course your parents, could NOT be prouder. Take a moment to soak it all in, and when people ask where you’re going to college, say “Penn State” with a big ol’ smile because you’ve earned it! 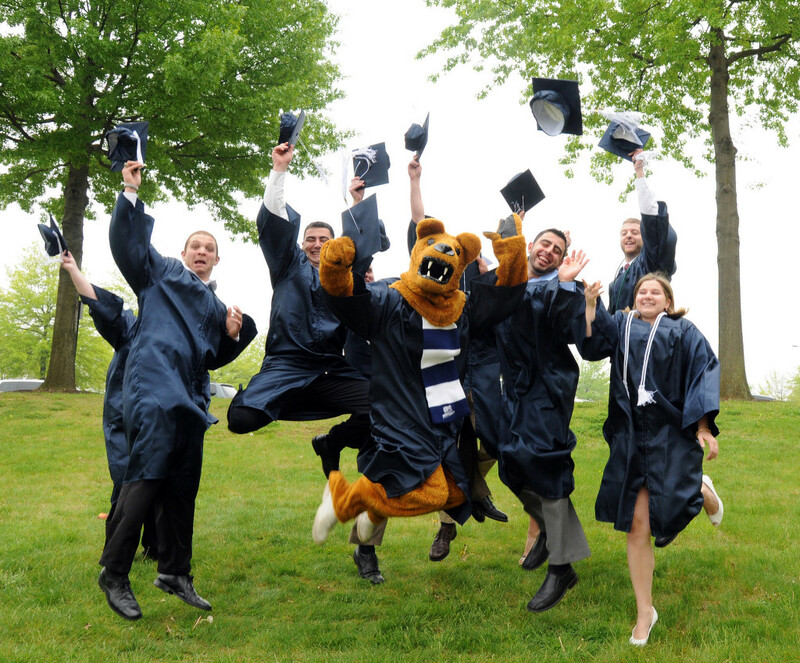 Share your graduation photos with us using #PSU2019. 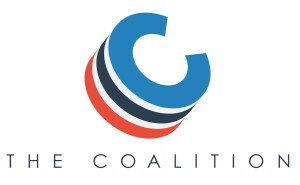 Follow us on Twitter, Instagram, and Facebook. Ahhh, the end of the school year is near! We know you are so busy with your end-of-year commitments that you may not even have time to think about what comes after, but let us remind you: SUMMER VACATION! We know that students’ summer plans are full of many things–work, practice, volunteering, vacations, and … college visits. As you are looking at your calendar, deciding where you might have time to fit in a college visit, think about Spend a Summer Day at Penn State! Spend a Summer Day is the open house visit program for prospective students, with events happening at all 20 of Penn State’s campuses throughout the summer. At these events, you will get to tour campus and learn about academics, club and organizations, and so much more! 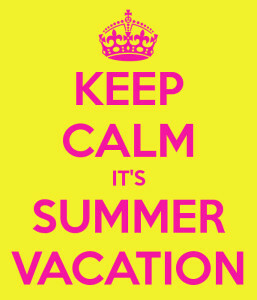 Please visit sasd.psu.edu to check our schedule and to register for Spend a Summer Day! Friday, July 24 at 8:00 a.m.
Monday, July 27 at 8:00 a.m.
Thursday, July 30 at 8:00 a.m.
Friday, July 31 at 8:00 a.m.
Monday, August 3 at 8:00 a.m. Wherever your summer plans may take you, we hope it includes a visit to Penn State for Spend a Summer Day! But rest assured–if the above dates don’t work for you, visit our website to schedule a visit to campus on another day. Best of luck with the end of your school year–you are in the home stretch! Penn State is buzzing with soon-to-be graduates that are soaking up their last few moments of college life while looking ahead to careers, research opportunities, or graduate school. Much like you Penn State Class of 2019, our Penn State seniors have a lot to look forward to as they embark on a new chapter of their lives. $45.8 Million: The Penn State Class of 2015 helped raise over $45.8 million for THON over their four years at Penn State. 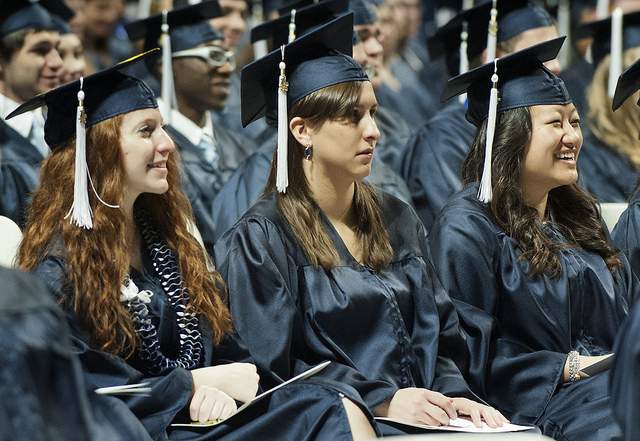 13,381 Diplomas: This weekend, Penn State expects to award approximately 13,381 diplomas to students University-wide who are completing 433 associate, 10,916 baccalaureate, 1,437 master’s, 202 law, 262 doctoral and 131 medical degrees. Go Green: The Class of 2015’s gift will by a solar panel array to help Penn State reach its goal to reduce building energy use by 20 percent over the next decade. 450 Scholars: Schreyer Honors College will graduate more than 450 scholars. Scholar Katherine Rhodes will speak at the college’s commencement ceremony with the highest grade point average among the college’s spring graduates. Six NCAA National Team Championships: Wrestling, women’s volleyball, and fencing hoisted a national championship trophy during the Penn State Class of 2015’s tenure. Wrestling won the NCAA crown in 2012, 2013, and 2014, while women’s volleyball captured the 2013 and 2014 title, and fencing won the 2014 national title. So #PSU2019, what will you accomplish at Penn State? As part of First Lady Michelle Obama’s Reach Higher campaign, an educational initiative working to inspire every student in America to pursue education after high school, we want you to show the WORLD that you’re joining the Penn State family on Friday, because it’s National College Signing Day! Snap a picture of you sporting your Penn State gear and holding one of our custom Penn State signs (download above) and post it on Twitter and/or Instagram. Better yet, shoot a quick video and tell us why you chose Penn State to help you reach higher in your education. 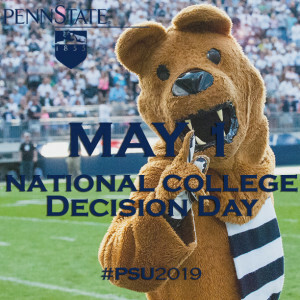 Be sure to include #ReachHigher and #PSU2019 in your post. We’re going to be celebrating your Penn State choice all day long right here with a gallery of YOUR photos and we will also be sharing them via our Twitter and Instagram. We’re only a few short days away from May 1, the national deadline for you to let us know where you’ll be attending college next year. Fingers crossed you pick Penn State! Nicole Schneidman shared why she chose to be a Nittany Lion. Niccia Griffin-McKinney shared her experience as a 2+2 student starting at Mont Alto and finishing her degree at University Park. Sophia Fox shared what it was like for her picking between three colleges. Yarianne Marie Aquino shared her experiences transitioning from Puerto Rico to University Park. If you accept your Penn State offer, share your excitement with us using #psu2019 on Facebook, Twitter, and Instagram! If you feel like you need some more time to make your college decision contact us at admissions@psu.edu. 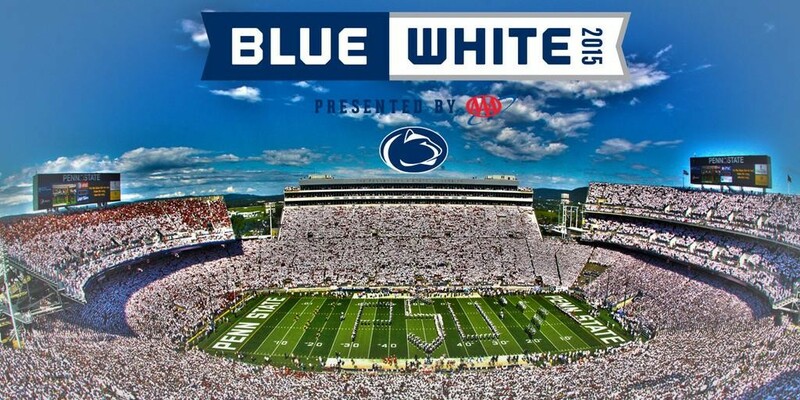 Come spend April 17-19 at Penn State, just don’t forget to wear your blue and white, because it’s BLUE-WHITE WEEKEND! To get a jump-start on planning your weekend trip to PSU, visit www.visitpennstate.org for a complete overview of State College’s accommodations, restaurants and activities. Admission and parking for the Blue-White Game presented by AAA is FREE. 12:45 p.m. – Team blue bus arrival to Beaver Stadium at the corner of Curtin and Porter Roads. 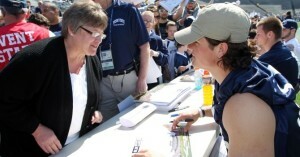 1:15-2 p.m. – Team autograph session in Beaver Stadium. The athletes will be permitted to sign one item per person to give as many fans the opportunity to meet the players. Beaver Stadium gates A & B open at 1 p.m. and all other gates open at 2:30 p.m.
Last year, an estimated 72,000 fans attend the Blue-White Game! The Blue-White Game has drawn more than 50,000 fans in six of the past eight years, including three consecutive crowds above 70,000! Penn State Philharmonic Orchestra – Old Main Lawn – 6:30 p.m.
Penn State School of Theatre Performance of Julius Caesar – Old Main Lawn – 7:45 p.m.
Blue-White Family Fun Zone – Holuba Hall – 9:00 a.m. – 1:00 p.m. This event is FREE and open to the public. The Family Fun Zone features live entertainment, food and beverages, merchandise, game stations run by Penn State teams, and much more! Totino’s Fan Festival – Curtin Road – 9:00 a.m. – 2:00 p.m.
Penn State football’s official game day fan festival features numerous displays, vendors and interactive events for kids. Paterno Family Beaver Stadium Run/Walk – Start: BJC End: 50-yardline Beaver Stadium – 7:30 a.m. – 1:00 p.m.
Ellen Perry Speaker Series: Women In Sport – The Modern Years – Nittany Lion Inn – 11:00 a.m. – 1:00 p.m. Sponsored by the Penn State All-Sports Museum, the Women In Sport – The Modern Years discussion will center on women working and participating in athletics.